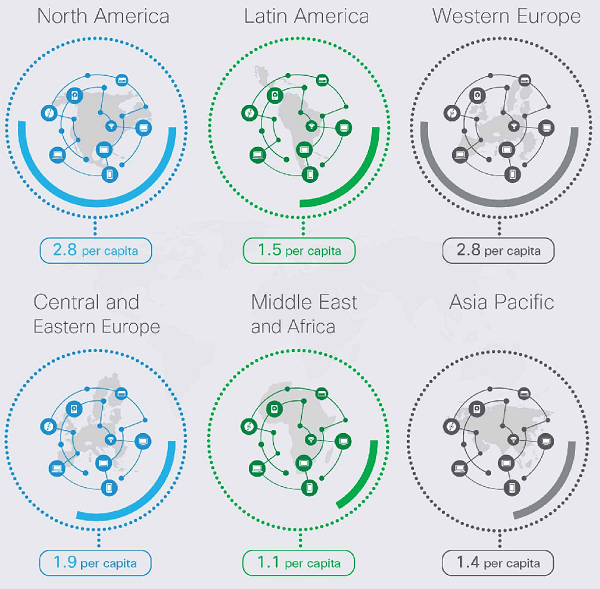 By 2020, there will be 5.5 billion mobile users around the world, 11.6 billion mobile-ready devices, the average mobile connection speeds will be more than three times faster than in 2015, and global mobile IP traffic will be multiplied more than eight times over, according to the VNI (Visual Networking Index) Global Mobile Data Traffic Forecast recently released by Cisco Systems, Inc. 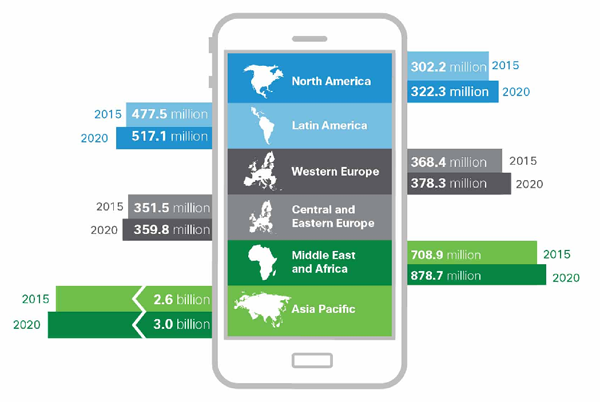 The largest number of new users are expected come from Asia, Africa, and the Middle East, though North America and Western Europe will continue to have the most devices per user, according to the forecast. Another fascinating statistic is the increase in speed projected: From an average of 2 mbps in 2015 to 6.5 mbps in 2020. 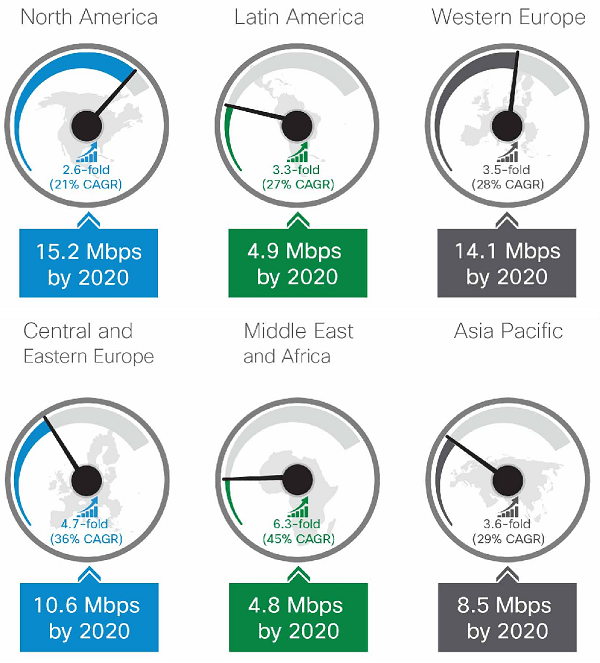 However, the growth will not be distributed evenly, with North America and European mobile users projected to have access to average speeds of 15.2 mbps and 14.1 mbps, respectively, by 2020, while the average speeds for the Middle East, Africa, and Latin America are projected to be below 5 mbps. Finally, the amount of traffic generated by the average mobile data user is expected to rise from 495 MB per month in 2015 to 3.3 GB per month in 2020, with video expected to represent 75 per cent of the latter year’s mobile data traffic (it represented 55 per cent of mobile data traffic in 2015). For more information, visit Cisco’s VNI homepage here.